At the weekend Gambia partied. It’s been a time for celebration as the new president Adama Barrow formally took power and everyone – or at least many many thousands – came to the inauguration. And his gesture – releasing all political prisoners – was celebrated. Al Jazeera reporter. Jammeh was reputed to have called the prison “my personal hotel” and guards told the reporter that Jammeh “would call in during torture asking to hear the prisoners cry”. It’s even possible that a commission of enquiry or a truth commission may be set up, as hinted at by the new president. Some arrests are also reported to have begun. But our community on Justice Hub is still hotly debating the issues. Last month we asked you specifically whether Yaha Jammeh himself would ever be brought to account. “if Allah want to killed him thousand times, he can. let Is forgive and forget and give him breathing ground. Now Gambia has decided for a new regime and a brighter future let us wrap the wounds and past ugly scenarios in the astray of history. 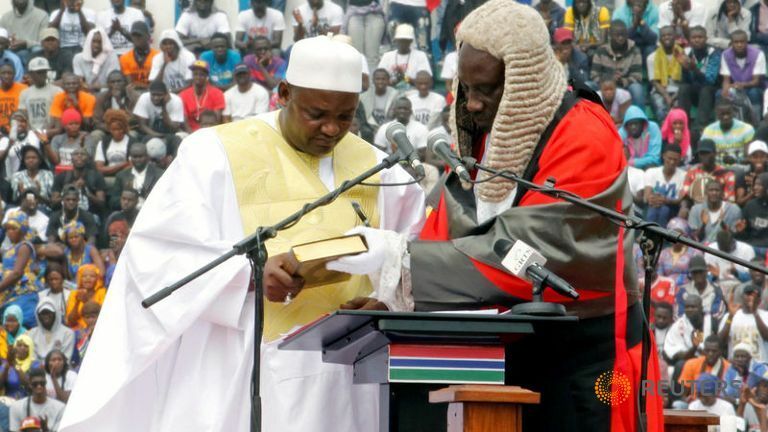 and Nuhu Othman supported that view – Jammeh won’t always be holed up in Equatorial Guinea where he’s been given exile by president Teodoro Obiang Nguema. Much of the debate focused on whether a trial at the Hague-based court – the ICC itself – would be the right venue for him. Maybe as the stories of individual victims in The Gambia emerge, there will be a bigger movement to hold Jammeh accountable. This piece is about how even those close to the former dictator fell foul of him, and it ends with the hope from the victims that “justice will finally come”. Is this going to be a process like that of Hissene Habre – a many decades long wait and then an African solution? Let us know your views now that peace has returned to The Gambia.